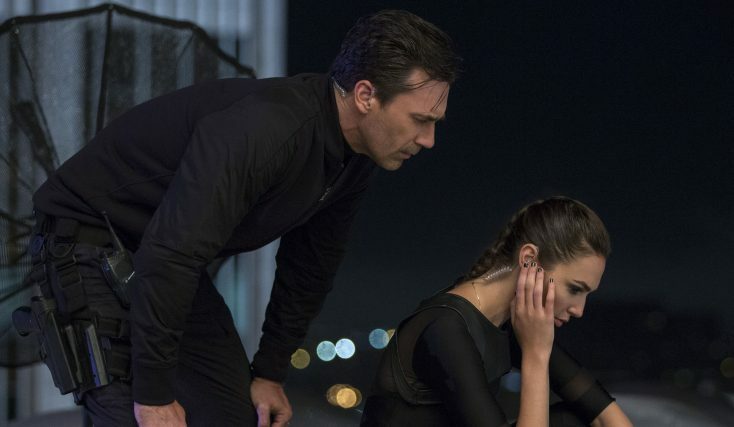 The impossibly gorgeous and ultra-sophisticated newly-arrived suburban couple, Mr. and Mrs. “Jones” (Gal Gadot, Jon Hamm), are actually covert operatives in KEEPING UP WITH THE JONESES. ©20th Century Fox. CR: Frank Masi, SMPSP. Audiences got a sneak peak at Gal Gadot’s interpretation of the DC Comics superhero Wonder Woman/Diana Prince in a supporting role in this year’s “Batman v Superman: Dawn of Justice.” Before she reprises that iconic character in a self-titled film summer tentpole due out June 2, 2017, Gadot continues to persuade any doubters of her ability to tackle the beloved crimefighting character by playing an undercover agent in the action comedy “Keeping Up With the Joneses,” arriving in theaters Oct. 21. 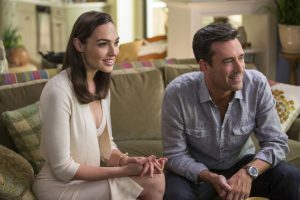 Gadot, an Israeli actress and model, plays Natalie Jones, a new neighbor to suburbanites Jeff and Karen Gaffney (Zach Galifianakis, Isla Fisher). Posing as a cooking blogger and social media maven, she and her equally attractive husband, Tim (“Mad Men’s” Jon Hamm), who claims to be a travel writer, seem a little too gorgeous and sophisticated to be the ordinary suburban couple they claim to be. Though suspicious about their new neighbors, the Gaffneys nonetheless fall under their exotic spell. That trust projects them into the center of an international espionage firestorm that brings a little more action into their lives than they anticipated. Gadot, 31, said her weapons expert spy in “Keeping Up With the Joneses” is a much different character from her golden lasso-slinging superhero character that eschews guns. Gadot, who is married to an Israeli businessman with whom she has a young daughter, added that she found performing in an action comedy a welcome challenge.